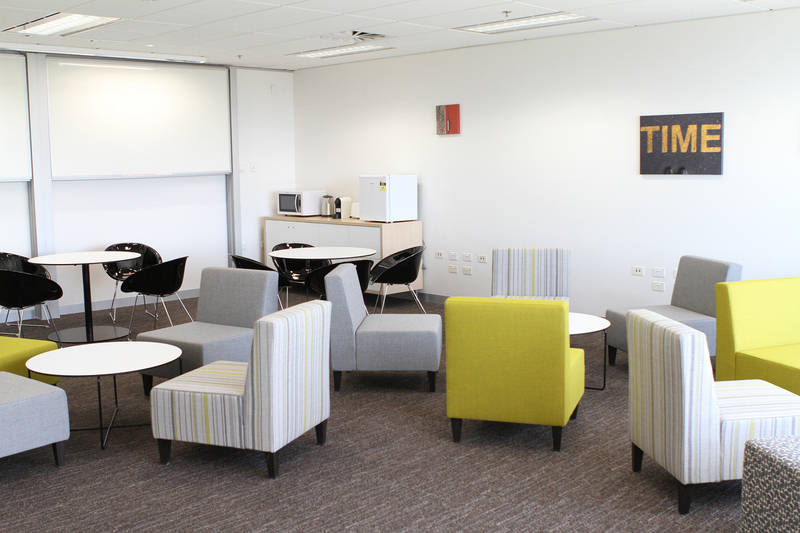 Our Graduate Lounge at Monash's Caulfield Campus (B4.60) is open 7 days a week and is for the exclusive use of Arts Graduate Coursework students. With comfortable furnishings, and access to tea/coffee facilities, graduate students can use the lounge to network, collaborate, or just relax. Lockers are available for casual use (please note these will be cleared at the end of each semester). Please submit an Access Request form to register your student card for swipe access to the room. Feedback regarding the Lounge is welcome and can be referred to the Director, Graduate Coursework Programs.